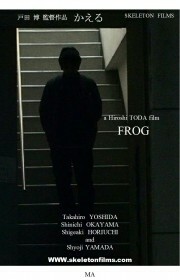 " Ryo" who is a motor-mechanic is dismissed from the company by reason of to be always late for his job with oversleep. ( Japanese style Pizza ) stall on the street now. Sueo reproached Ryo with to be dismissed, however Ryo doesn't understand how Sueo worries about him. Sueo is attacked by ruffians as he pulls his stall one midnight.